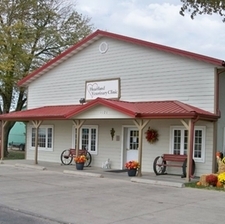 Heartland Veterinary Clinic is located in the oldest continually active veterinary clinic in McPherson County. It was purchased by Dr. Handlin from Dr. Scoby in 1992. The name was changed from Scoby's Veterinary Hospital to Heartland Veterinary Clinic. From its humble start, it has grown to include five full time employees and several part time general and skilled support staff. The practice continues to evolve by keeping up with advanced point of care diagnostics and paperless patient charts. Email and text reminders along with conventional mail are used for communitation. A new addition is the use of Petly Pet Portal to allow you access to your pets records and the ability to make appointments online. We look forward to helping you and your pet! !